Use these great sound pictures to inspire your students to write their own sound stories! 51 pages. 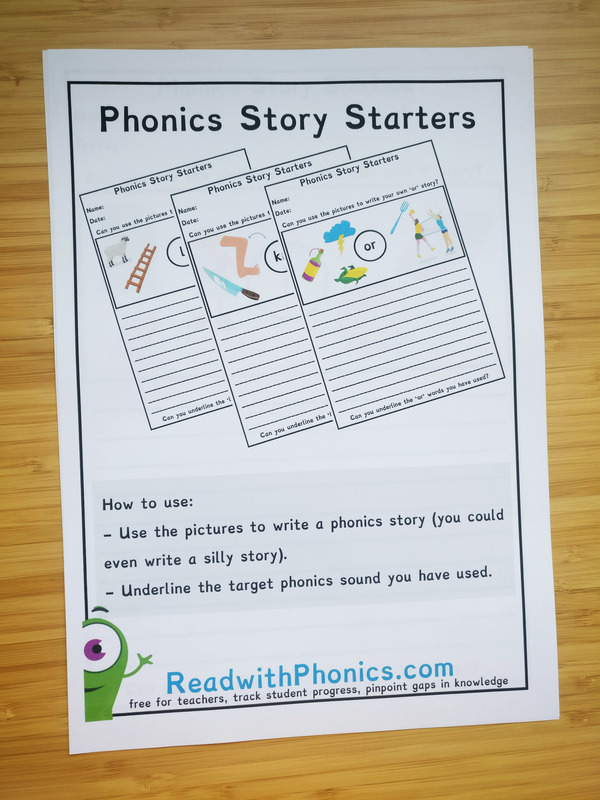 There are so many fun and interesting ways to write a story and Phonics Story Starters is one! 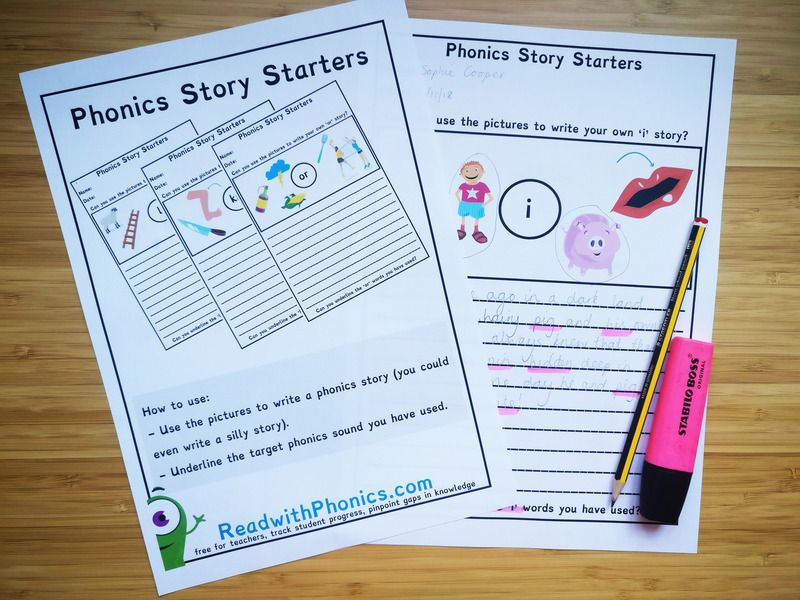 Making phonics fun is one of our aims here at Read with Phonics and with our colourful graphics, writing stories with target phonics sounds can be as silly and fun as you want to make it! 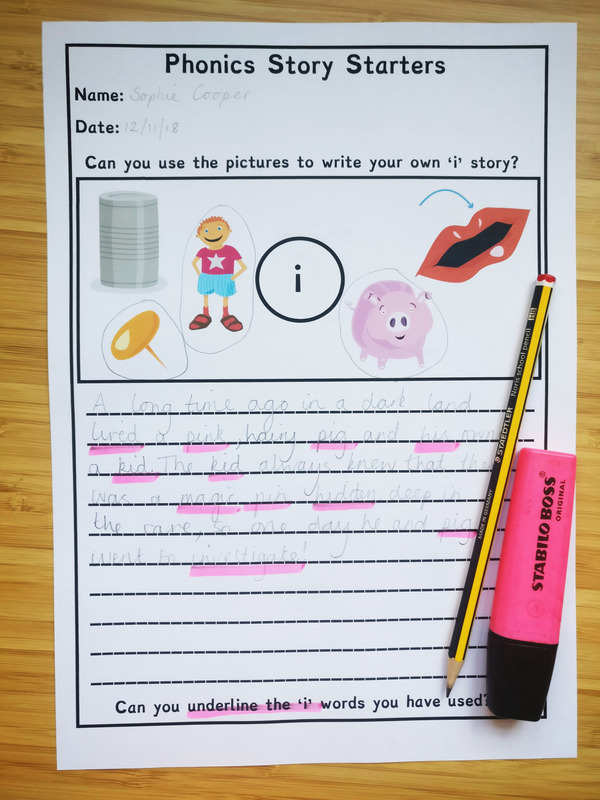 Our phonics story starters cover simple s a t/ p i n sounds and progress to two letter digraphs and three letter trigraphs, for example 'igh' 'ear'. 51 pages of no prep phonics story starters, covering simple letter sounds to trickier three letter sounds. Each page has a space for a student name and date, a graphic picture box to choose ideas for the target phonics sound, lines to write on and an extension at the end. For these actvities students will need a pencil and a highlighter. Tip: get your students to look at the pictures, sound them out and blend them back together! They could even write the word next to the pictures. Write silly stories, see who can use the pictures to make up the silliest phonics story!